U-TURNS, falsehood and massive fudging – a new generation of British nuclear power stations got the go-ahead from the British Labour Government last week, while in Ireland reaction from the Fianna Fáil/Green Party coalition was muted. It fell to Sinn Féin to make the case as to why this policy reversal should be actively opposed by the Irish Government using every avenue open to it to halt new nuclear facilities being built. British Energy Secretary John Hutton made the case in the House of Commons as to why ‘New Labour’ is giving the approval for building new nuclear power stations. Hutton said that there are two objectives in British energy policy: one is to secure energy supplies and the second is to tackle climate change. Hutton claimed: “It is in the public interest to allow energy companies the option of investing in new nuclear power stations.” Nuclear power is “safe and secure” as well as “tried and tested” and is “one of the very few proven low-carbon technologies”. One of the most incredible claims made by Hutton is that “nuclear power will reduce the costs of meeting our energy goals”. He didn’t mention the fact that the British taxpayer already faces a bill of at least £70 billion to meet the cost of decommissioning Britain’s ageing nuclear power plants. On top of that is a £20 billion bill for storing nuclear waste in Britain, most of which is stored in the Sellafield facility where, time and time again, failures in management and even basic storage procedures of this most hazardous waste have been exposed. Then there is the £3.5 billion bail-out of struggling nuclear power provider British Energy or the long-term loss-making, state-owned British Nuclear Fuels. In the small print accompanying the Energy White Paper it’s clear that there still would be taxpayer subsidies for new nuclear stations despite Hutton’s claim that “nuclear power makes commercial sense”. There will be a ceiling in the price that new entrants to the industry will have to pay in terms of meeting dismantling costs. The costs of adapting any new power stations to the British electricity grid will be paid for by government as well security of installations and transport of radioactive waste. In Ireland, the response of Green Party Energy Minister Eamon Ryan was disappointing. Rather than stress Irish Government opposition to the proposal, Ryan merely called for a debate on energy. Ryan could use Dáil speaking time to mirror the Sinn Féin initiative in the Assembly last October when a motion tabled by North Antrim MLA Daithí McKay to close Sellafield was passed; or he could follow the action taken by Greenpeace to go to court to try and halt the nuclear power plan. The Irish Government would have plenty of international support, ranging from the Scottish National Party in the Scottish Assembly, the British Liberal Democrats and a host of environmental groups. Given that Minister Hutton believes that any new radioactive waste can be stored in Sellafield, it is an even greater imperative that the Irish Government acts decisively on this new threat. 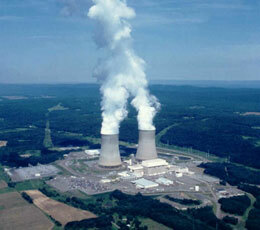 “Nuclear energy is not the solution to meeting our energy needs.